Below you can view all the homes for sale in the Brookhaven subdivision located in Raleigh North Carolina. Listings in Brookhaven are updated daily from data we receive from the Raleigh multiple listing service. To learn more about any of these homes or to receive custom notifications when a new property is listed for sale in Brookhaven, give us a call at 919-928-5027. 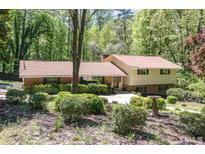 Exclusive community in the heart of Raleigh minutes from Crabtree. MLS#2249134. 511. Presale. For comp purposes only MLS#2248704. 511. Private fenced backyard! Move in now! MLS#2246687. 4239. Garage w/UPGRADED Shelving & Walk Up Storage! Finished Intercom System+Prime Location! MLS#2246473. 1880. Whole home propane fueled generator and home warranty. Groovy people welcomed. MLS#2245682. 1071. Refrigerator, washer, & dryer convey. Don't miss this one! MLS#2245209. 850. Really, the bones of this home are exceptional. MLS#2244814. 1502. 750/SF in the Basement finished w/o permits. MLS#2244712. 982. Upstairs bonus room set as an entertainment room with top of the line surround sound system. Turn Key Ready! Must See! ! MLS#2241511. 2905. Custom built John Rock low country home in highly sought after BROOKHAVEN sub; bright interior with hardwood floors down; Large kitchen with breakfast room opens to family room with wood burning Fireplace; nice moldings and built-ins; new 2nd floor carpet; covered back porch overlooks Private, wooded backyard adj to stream; large, full unfinished basement for storage, workshop, etc; new 2nd floor HVAC; new roof; ideal location convenient to schools, shopping, restaurants, airport and RTP; this home has it all! MLS#2241872. 1127. House gently lived in. Excellent value in great location. MLS#2239372. 2017. Kitchen has soft close cabinetry,granite counter tops,and hardwood floors.Family Room has exposed beams,hardwood floors,masonry f/p with gas logs,and cabinetry.Diningrm was originally livgrm with f/p and book shelves.Sunroom has tongue in grove ceiling,ceramic tile floor,lots of windows,and a pool table.Hall bath with ceramic tile shower,and granite top vanity.Mast.bath has whirlpool tub,granite,and large ceramic tile shower. MLS#2239045. 636. Presale for comp purposes MLS#2235514. 511. Presale in MLS for comps MLS#2235530. 511. Presale for Comp Purposes MLS#2235512. 511. Minutes from Crabtree and North Hills. No HOA fees. MLS#2234739. 1127. Big basement Recreation room, south-facing screen porch overlooks the fenced almost half-acre private backyard. Neighborhood elementary school & nature park. MLS#2232402. 2017. Presale for comp purposes only. Picture is not actual home. MLS#2221074. 1369. Est completion June/July 2019. Do not miss this opportunity! MLS#2219947. 1369. Upgraded features include fresh interior paint and new carpet in select rooms. MLS#2218391. 4823. Presale entered for Comp purposes only. MLS#2194961. 511. This is an exceptional plan and must see! MLS#2168089. 511. The 3 other bedrooms, plus a bonus room, complete the 2nd floor with over 400 sqft of finish-able space in the walk-up attic. MLS#2168075. 511.